Description: This lot contains four pendant/pin cameos. 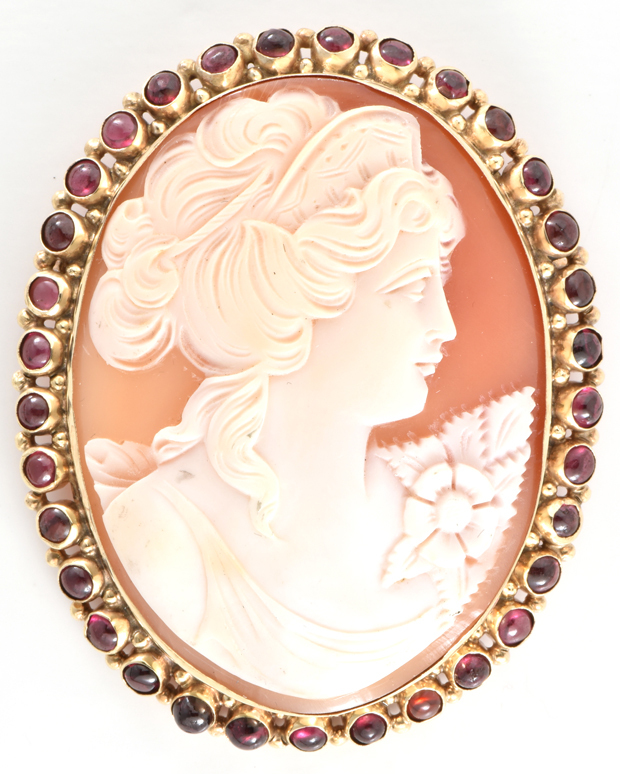 The first one is an almost 2.5” long shell cameo with a cabochon ruby border set in 14K yellow gold. The next is a 1.5” shell cameo set in a 14K white gold filigree casing. 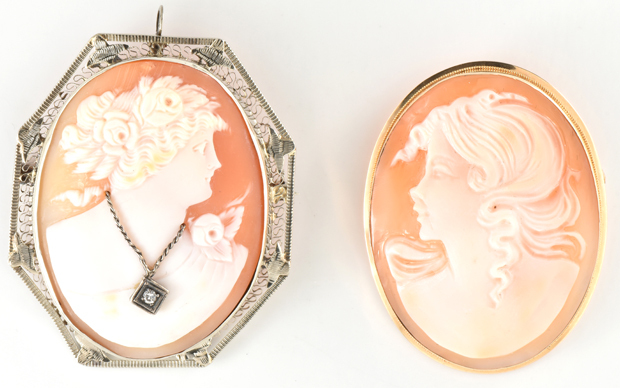 The last two cameos have plain 14K yellow gold borders and measure 1.5” and 1” long. All of these are in good condition. 34.7 dwt.